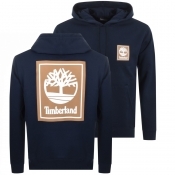 Timberland Windbreakers, Jumpers & Hoodies. Be prepared no matter what the weather with our Timberland jumpers, windbreakers, waterproof coats and hoodies. Known for their high quality outdoor clothing, investing in a Timberland jacket is a wise choice built to last with comfort and style in mind, these are sure to last you years to come. All our Timberland sweatshirts and jackets feature the instantly recognisable logo, and come in a range of neutral colours including green, blue and white.. Shop the full Timberland range.